First published in July, 2015. The surname of Forbes is said to be a corruption of Forebeast, which was originally assumed by the founder of the family in Scotland, to commemorate the achievement of having destroyed a ferocious bear which had infested the country. SIR ARTHUR FORBES (c1590-1632), Knight, directly descended from the Hon Patrick Forbes, of Corse, third son of James, 2nd Lord Forbes, by Egidia, his wife, daughter of William Keith, Earl Marischal of Scotland, settled in Ireland, 1620, and was made, by patent dated at Dublin, 1622, a free denizen of that kingdom. In 1628, Sir Arthur was created a baronet; and having, by petition to the King, made discovery that several royal fishings in the province of Ulster belonged to the Crown, an inquiry was thereupon instituted, and Sir Arthur was eventually rewarded by a grant of such proportion of the said fisheries as he thought proper to demand, besides the sum of £300 from the first profits of the remainder. 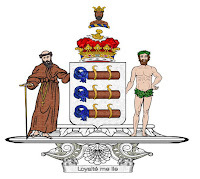 He had previously obtained extensive territorial possessions from the Crown, particularly a grant of sundry lands in County Longford, in all 1,266 acres, which were erected into the manor of Castle Forbes, with the usual manorial privileges. THE RT HON SIR ARTHUR FORBES, 2nd Baronet (1623-95), who zealously espoused the royal cause in Scotland, and was rewarded, after the Restoration, by being sworn of the Privy Council in Ireland, and appointed marshal of the army in that kingdom. In 1671, Sir Arthur was constituted one of the Lords Justices of Ireland, and again in 1675, when he was elevated to the peerage, as Baron Clanehugh and Viscount Granard. In 1684, his lordship was appointed Colonel of the Royal Regiment of Foot in Ireland, and Lieutenant-General in the army; and in the same year was advanced to the dignity of an earldom, as EARL OF GRANARD. He married Catherine, daughter of Sir Robert Newcomen Bt, by whom he had five sons and a daughter, Catherine, wedded to Arthur, 3rd Earl of Donegall. ARTHUR, 2nd Earl (c1656-1734), who wedded, in 1678, Mary, eldest daughter of Sir George Rawdon Bt, of Moira, County Down, and had three sons and two daughters. GEORGE, 3rd Earl (1685-1765), who had been called to the House of Lords in the lifetime of his father, as Lord Forbes. His lordship was a naval officer of great eminence and rank, and at the time of his decease, was senior admiral of the Royal Navy. In 1733, he was appointed envoy extraordinary and minister plenipotentiary to the court of Muscovy; and upon his recall, in 1734, was highly complimented by the Empress. GEORGE, 5th Earl (1740-80), who married firstly, in 1759, Dorothea, second daughter of Sir Nicholas Bayley Bt, and sister of Henry, 1st Earl of Uxbridge, by whom he had one surviving son, GEORGE, his successor. Georgiana Anne; Augusta; Louisa Georgiana; Elizabeth. GEORGE, 6th Earl (1760-1837), who was created a peer of the United Kingdom, as Baron Granard, of Castle Donington, Leicestershire. Elizabeth Maria Theresa; Adelaide Dorothea; Caroline Selina. 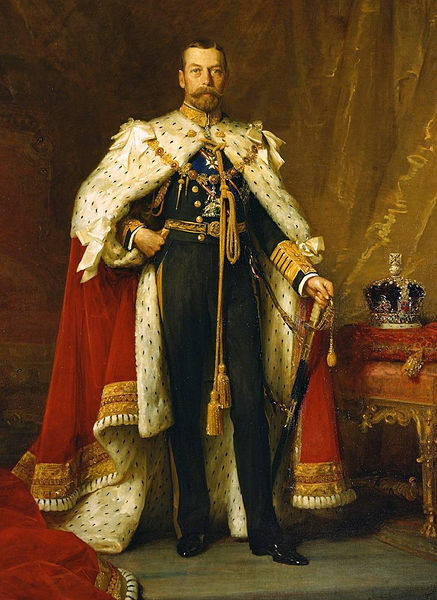 His lordship was a general in the army, and Clerk of the Crown and Hanaper in Ireland. 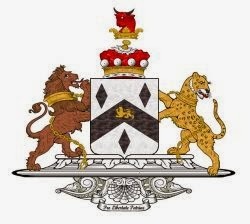 Peter Arthur Edward Hastings, 10th Earl (b 1957). The heir apparent is the present holder's son, Jonathan Peter Hastings Forbes, styled Viscount Forbes (b 1981). The ancestral family seat of the Earls of Granard is Castle Forbes, near Newtown Forbes, County Longford. It remains in the ownership of the family (as of 2008). The 8th Earl was the last Lord-Lieutenant of County Longford, from 1916 until 1922. CASTLE FORBES, near Newtownforbes, County Longford, is a 19th century castle of random ashlar, built about 1830. It replaced an earlier house destroyed by fire. It has two storeys over a high basement, with two adjoining fronts dominated by a lofty, round corner tower. The house is prolonged by a low service wing and a gateway to the yard in the French style, with a high roof and conical-roofed turret and bartizan added about 1870. Castle Forbes has heavy battlements and machiolations; lancet windows separated by stone mullions; and a few Early English tracery windows. There are also corbelled stone balconies with pierced balustrades. 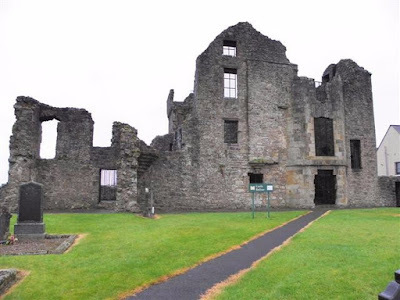 The Castle remains the private home of the Forbes family, Earls of Granard. The village of Newtownforbes takes its name from the Forbes family, having resided in the region since 1691. The village church, built in the late 17th century, is one of the few Regency buildings of its type in the county. Castle Forbes has its entrance in the centre of the village. The Forbes family changed the name of the village from Lisbrack to Newtownforbes ca 1750. There is no public access to the Castle or grounds, which are strictly private. Although Newtownforbes geographically has always been in the shadow of Castle Forbes, it cannot be regarded as an estate village. There are only a few houses in the centre of the village, near the main entrance to the estate, which were built by the estate owners for the workers on the estate. They were some of the first houses in the county to have flush toilets. The present occupant is the Lady Georgina Forbes, although she lives in France (as of 1990) and uses the castle occasionally during the year. Lady Georgina is an accomplished horse breeder and owner. First published in May, 2011. Granard arms courtesy of European Heraldry. First published in August, 2013. First published in February, 2015. DAVID LE CLERC, who, after the earldom of Chester was annexed to the Crown, was sheriff of that county, a Justice, and held three knights' fees therein. This powerful baron wedded Margaret, daughter and heir of Ralph Ap Eynon, and granddaughter maternally of the aforesaid Hugh, Earl of Chester; and thus became possessed of the entire barony of Malpas, a moiety by descent, and a moiety in right of his wife. RALPH, of whom we treat. THOMAS EGERTON (1540-1617), a distinguished statesman, LORD CHANCELLOR OF ENGLAND, who was elevated to the peerage, 1603, as Baron Ellesmere. His lordship was advanced to a viscountcy, in 1616, as Viscount Brackley. The 1st Viscount married secondly, in 1596, Mrs Elizabeth Wolley; and thirdly, in 1600, Mrs Alice Stanley. Elizabeth; Mary; Frances; Alice; Arabella; Penelope; Catherine; Magdalen. His lordship was created Earl of Bridgewater in 1617. The 4th Earl was advanced, in 1720, to the the dignities of Marquess of Brackley and DUKE OF BRIDGEWATER. FRANCIS, 3rd Duke (1736-1803), who died a bachelor. 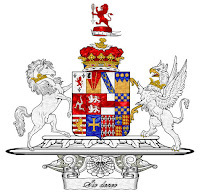 The marquessate of Brackley and the dukedom of Bridgewater expired and his other peerages passed to his cousin and heir male, John William Egerton, who succeeded as 7th Earl of Bridgewater. 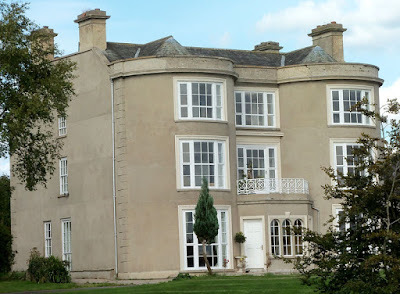 Former seat ~ Ashridge House, Berkhamsted, Hertfordshire; town residence ~ Bridgewater House. 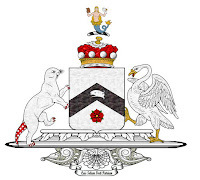 Bridgewater arms courtesy of European Heraldry. 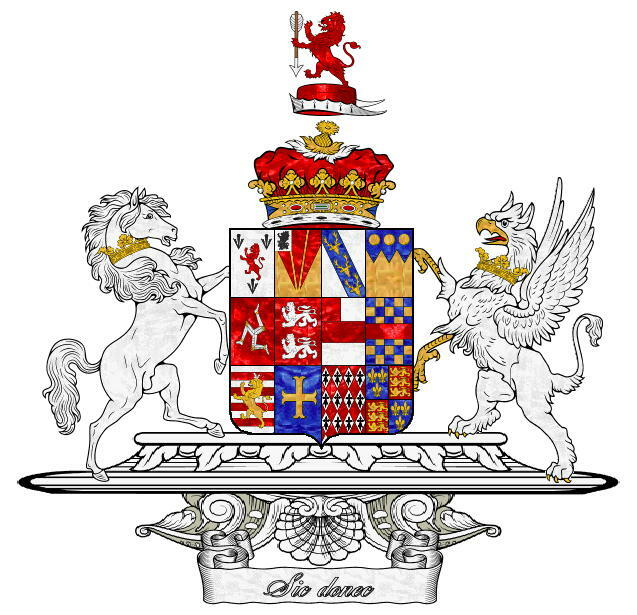 The COURTENAYS, one of the most illustrious races amongst the English nobility, deduce their paternal descent from ATHON DE COURTENAY, who sprang himself from PHARAMOND, founder of the French monarchy in 1420, and common patriarch of all the Kings of France. This ATHON having fortified, during the reign of ROBERT the Wise, the town of COURTENAY, in the Île-de-France, thence assumed his surname. WILLIAM COURTENAY, de jure 3rd Earl of Devon (1553-1630), High Sheriff of Devon, 1581; who, in 1585, was one of the undertakers to send over settlers for the better planting of Ireland, and thus laid the foundation of the prodigious estate in that kingdom enjoyed by his posterity. WILLIAM, de jure 5th Earl (1628-1702). IN THE late 16th century, the vast estates of the Earl of Desmond were forfeited by the Crown. The Castle, Newcastle West, County Limerick, and a large amount of surrounding land, was granted to Sir William Courtenay, de jure 3rd Earl of Devon, of Powderham, Devon, in 1591. The Courtenays, Earls of Devon, still live at Powderham Castle in Kent. Sir William was a staunch Roman Catholic and suffered persecution for his beliefs. His son George might even have practised his faith in secret. Their home was reputed to have had a room in which priests were hidden. Courtenay was denounced in the House of Commons as a "papist recusant" in 1624. 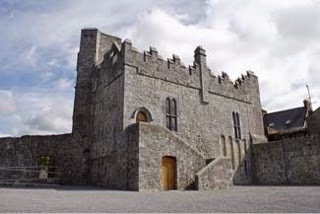 In December, 1641, disturbances broke out in Newcastle West and the castle was burned down. It is unlikely that anybody lived in the castle after that time. The old castle house, which was adjacent to the castle, and where the agents for the Courtenays lived, was probably built around 1700. This house was burned down during the Irish civil war in 1922. In time the Courtenays were to become the largest landlords in County Limerick, owning up to 85,000 acres in the south-west of the county; the remaining lands of Newcastle West and the surrounding countryside were known as the Devon Estate until the first years of the 20th century. In 1908, under the 1903 Land Act, practically all the lands of the Devon Estate were sold. The town of Newcastle West itself was sold in 1910. The last agents on the Courtenays in Newcastle West were the Curling family. They were agents from 1848 until the decimation and sale of the Estate. 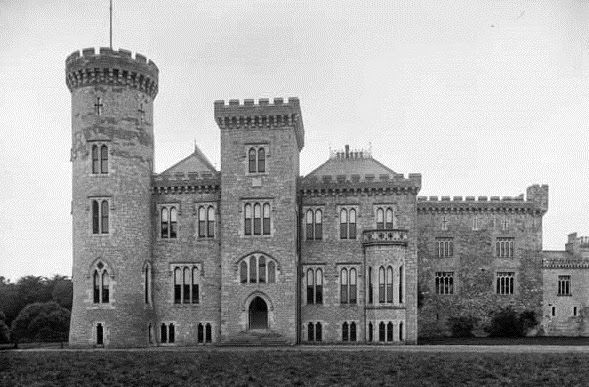 After the break up of the estate, they bought the castle building and some of the surrounding land from Lord Devon. The last Curling, Richard, died in 1943. In 1944 his house house and the castle grounds were sold. It is believed that the Castle, known as the Desmond Banqueting Hall and Castle, is now state-owned. First published in May, 2011. PEREGRINE BERTIE (1555-1601), son and heir of Richard Bertie, by Catherine his wife, only daughter and heir of William, 11th Baron Willoughby de Eresby, was summoned to Parliament as 13th Baron Willoughby de Eresby. ROBERT, 14th Baron (1582-1642), who claimed, in right of his mother, the earldom of Oxford, together with the office of Hereditary Lord Great Chamberlain of England. MONTAGU, 2nd Earl (1608-66), who married firstly, in 1627, Martha, Dowager Countess of Holderness, third daughter of Alderman Sir William Cockayne, by whom he had eight children, including his successor, ROBERT. His lordship wedded secondly, Bridget, Baroness Norris, by which lady he had four children. ROBERT, 3rd Earl (1630-1701), who espoused, in 1654, Mary second daughter and co-heir of John Massingberd, of London, and had issue, a daughter, ARABELLA. The 4th Earl was created, in 1706, Marquess of Lindsey; and further advanced, in 1715, to the dignity of a dukedom, as DUKE OF ANCASTER AND KESTEVEN. Priscilla Barbara Elizabeth; Georgiana Charlotte. THE LADY MARY ELIZABETH BERTIE (1771-97), who married, in 1793, Thomas, 4th Earl of Portmore, and had issue. 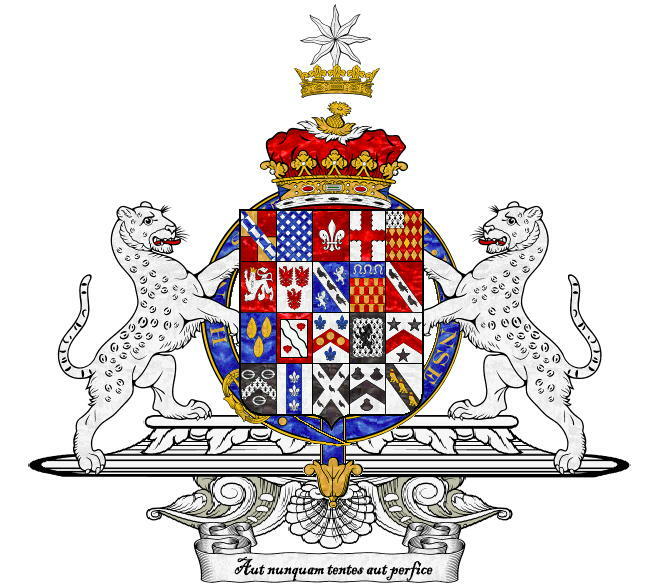 On the death of the 5th Duke, the dukedom and the marquessate expired, and the earldom of Lindsey passed to his distant cousin, Albemarle [Bertie], 9th Earl of Lindsey. Former seat ~ Grimsthorpe Castle, Lincolnshire. Ancaster arms courtesy of European Heraldry. This family is of Scottish descent. ROBERT DOUGLAS (1655-1733), son of Robert Douglas, of County Down, by Elizabeth Henderson his wife, was a lieutenant in WILLIAM III's army at the battle of the Boyne. He was thrice married: firstly, to Miss Elliot; secondly, to Miss Whitney; and thirdly, to Miss Usher. CHARLES DOUGLAS, High Sheriff of County Down, 1760, who wedded firstly, Grace, daughter of Richard Waring, of Waringstown, County Down, but had no issue. Theodosia, m Rev W B Forde, of Seaforde. CHARLES MATHEW DOUGLAS JP DL (1793-1880), of Grace Hall, High Sheriff of County Down, 1836, dsp 1880, and was succeeded under the provisions of his will, proved in 1860, by his nephew, ST JOHN THOMAS BLACKER-DOUGLAS, of Grace Hall etc. The Rev St John Blacker wedded secondly, Susan, daughter of Dr Messiter, of London, but had no further issue. Grace Elizabeth; Georgina Frances; Emily Theodosia. 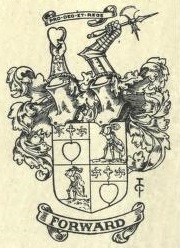 Mr Blacker-Douglas assumed, by royal licence, 1880, the additional name and arms of DOUGLAS, on succeeding to the estate of his uncle, Charles Mathew Douglas. 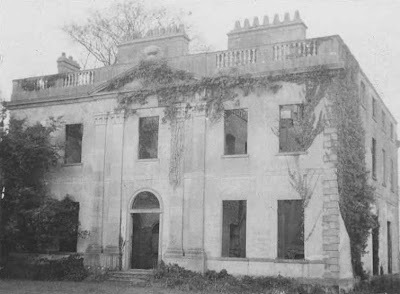 GRACE HALL, Dollingstown, County Armagh, is a three-storey, double gable-ended 18th century house in the Regency style. The Douglases owned most of their land on the County Down side of the border. It has a front comprising two full-length curved bows, with one bay in between. There are Wyatt windows; a porch was added at a later stage. 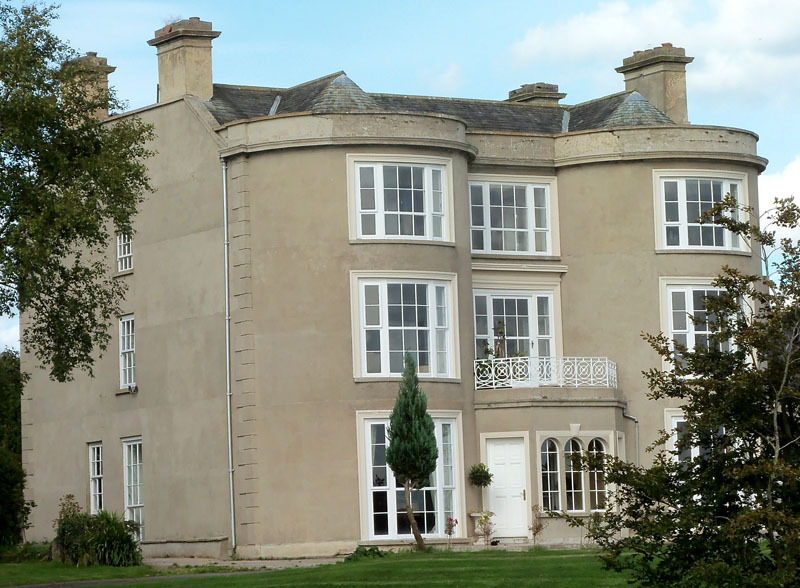 Grace Hall now operates as a wedding venue. Other former seat ~ Elm Park, County Armagh. Former residence ~ 2 Bellevue Park, Killiney, County Dublin. JOHN McFARLAND JP (1848-1926), a prosperous businessman from Londonderry, married Annie, daughter of John Talbot, in 1893. He was Mayor of Londonderry, 1909-12; High Sheriff, 1904-5; member, Port and Harbour Commissioners; Chairman, Londonderry and Lough Swilly Railway Company, 1908. Mr McFarland was also founder of, and a partner in, the firm of McCrea and McFarland, engineering contractors, of Belfast and Londonderry; chairman of Mulhollands Ltd, drapers; chairman of Brewster's Ltd, bakers; owner of the Lough Swilly Steamship Company. Mr McFarland was created a baronet in 1914, denominated of Aberfoyle, County Londonderry. High Sheriff of the City of Londonderry, 1930-38 and 1952; High Sheriff of County Londonderry, 1952; Mayor of Londonderry, 1939 and 1945-50; HM Lord-Lieutenant of the City of Londonderry, 1939-75. He served in 1918 with the Artists Rifles, and in the 2nd World War served overseas, mainly in North Africa, with the 9th Londonderry HAA Regiment and was mentioned in despatches. Commanding Officer of the Londonderry City Battalion of the Home Guard; Chairman of the Territorial Army and Auxiliary Force Association (Co. Londonderry), 1947-62; member of its national council; Hon Colonel, 9th Londonderry HAA Regiment of the Royal Artillery (TA), and President of the NI TA and Volunteer Reserve Association, 1968-71; a Commissioner of Irish Lights; a member of the NI Air Advisory Council, 1946-65; Chairman of the Londonderry Port and Harbour Commissioners, 1952-67; a member of the London Midland Area Board of the British Transport Commission, 1955-61; and a trustee of Magee University College, Londonderry, 1962-65. His directorships and business interests included: directorships of the Belfast Banking Co. Ltd, 1930-70; the Belfast Bank Executors Trustee Co., and the Donegal Railways Co., a local directorship of the Commercial Union Assurance Co., and the chairmanship of Sir Alfred McAlpine & Son (Northern Ireland) Ltd; the Londonderry and Lough Swilly Railway Co;Lanes (Derry) Ltd; Lanes (Fuel Oils) Ltd; Lanes (Business Equipment) Ltd; John W. Corbett & Sons; R.C. Malseed & Co. Ltd; Alexander Thompson & Co. Ltd; and the Londonderry Gaslight Co.
SIR JOHN TALBOT McFARLAND TD DL (b 1927), of Aberfoyle, 3rd and present Baronet, married Mary, daughter of Dr William Scott-Watson, in 1957. Former member Management Ctee NW Group; Former director, Londonderry Gaslight, 1958–89; Donegal Holdings, 1970–86; G Kinnaird & Son, 1981–97; Windy Hills Ltd, 1994–95; Erinwind Ltd, 1994–; Londonderry and Lough Swilly Railway, (1978–81); R C Malseed & County Hospitals, 1958. 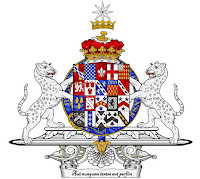 Sir John was was educated at Marlborough and Trinity College Oxford; Territorial Army (Captain, Royal Artillery and RASC), 1955; High Sheriff of County Londonderry, 1958; and City of Londonderry, 1965-66; Commissioner of Londonderry Port and Harbour Board, 1969; in 1977, Chairman: Lanes (Business Equipment); McFarland Farms, 1980–; J T McFarland Holdings, 1984-2001. 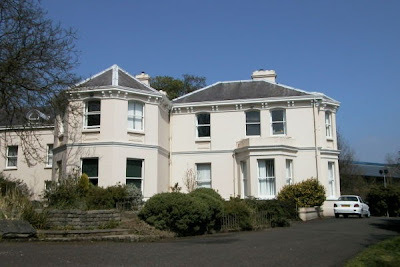 He lived in 2003 at Dunmore House, Carrigans, County Donegal. 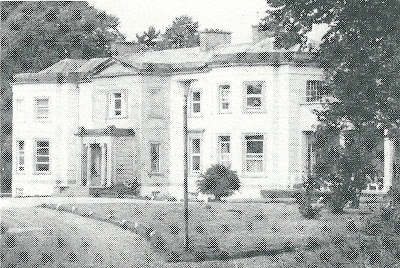 ABERFOYLE HOUSE now forms a part of the Magee campus of the Ulster University. It is situated in urban surroundings. a good portion of the grounds for the house of 1873 remain planted up. The site slopes towards the River Foyle. The west end is mostly walled in with brick and is cultivated by the Centre for Environmental and Horticultural Studies. There is a rose garden south of the house and shrubbery on either side of the twisting avenue to the eastern gate. The house is used as offices. There is a rose garden south of the house and shrubbery on either side of the twisting avenue to the eastern gate. The house is used as offices. The McFarland Papers are deposited at the Public Record Office of Northern Ireland. SIR JAMES BALFOUR, Knight, second son of Sir James Balfour, Lord Pittendreich (c1525-83), by Margaret his wife, only child and heir of Michael Balfour, of Burleigh, having risen high in favour with JAMES I, was created by that monarch, 1619, BARON BALFOUR OF GLENAWLEY, County Fermanagh. His lordship married thrice (his last wife, by whom he had no issue, having been Anne, eldest daughter of Edward, 1st Baron Blayney). He died in London, 1634, and was buried at St Ann Blackfriars. ALEXANDER, 3rd Baron, who dsp 1636, when the title expired. GENERAL SIR WILLIAM BALFOUR, of Pitcullo, Fife, Governor of the Tower of London under CHARLES I, subsequently settled in Ulster on the purchase of an estate in County Fermanagh from his uncle, Lord Balfour. HARRY TOWNLEY (1693-1741), of Piedmont, County Louth, nephew of the aforesaid William Balfour, assumed the name of BALFOUR under the will of his uncle, and succeeded to his estates in County Fermanagh (afterwards sold to Lord Erne). LISNASKEA is County Fermanagh's second town and has a population of about 2,800. Its long, main street has a market-place in the middle with an ancient, monastic high cross. The old market-house, butter and corn markets were built in the early 19th century. The former workhouse, a stone building of considerable size, is now derelict and in its garden there used to be a massive iron cauldron which could hold 300 gallons of gruel. CASTLE BALFOUR formed the nucleus of the town. It stands beside the parish church, in the graveyard. The Castle was built with local stone ca 1618 by Sir James Balfour. Sandstone was used for the quoins and dressings. The main block consists of a rectangular block, 78 feet by 24 feet, with a large wing projecting to the east and west, comprising two L-shaped units. The northern block has three storeys with attics. The kitchen is vaulted, with a fireplace and oven. Corbelled turrets and gun-slits are a feature. During the Irish Rebellion of 1641, Castle Balfour and the village were burnt but later reoccupied. In 1689, the Castle was again badly damaged by the Jacobite armies but was repaired after the Williamite victory at Limerick. 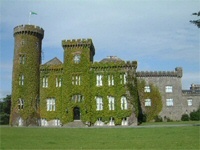 About 1780, Castle Balfour was sold to the 1st Earl of Erne, and the Balfours subsequently left County Fermanagh. The last person to inhabit the Castle was James Haire (1737-1833), of Nutfield, who leased the Castle from Lord Erne. James Haire and his family ceased to occupy the castle after it was destroyed by an arson-based fire in 1803 (his mother, Phoebe, was killed in the rubble caused by the fire). Thereafter the Castle remained ruinous, until it was placed in state care by the 6th Earl of Erne in 1960. Major conservation work was carried out between 1966-68 and again during the late 1990s. Balfour arms courtesy of European Heraldry. GENERAL HUGH MASSY, who had a military command to repress the rebellion of 1641. General Massy was descended from Hamon de Massey, one of the companions in arms of WILLIAM THE CONQUEROR, who obtained large grants in the counties of Durham and Cheshire, and was created Baron of Dunham Massy. 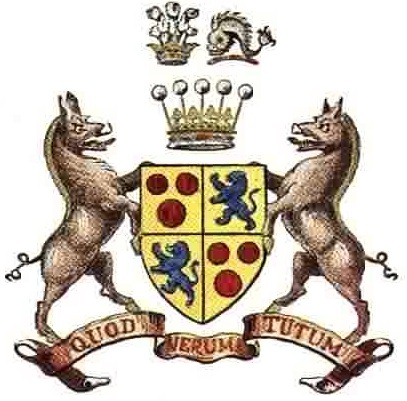 HUGH MASSY (1700-88), of Duntrileague, who, having represented County Limerick in several parliaments, was raised to the peerage, in 1776, as BARON MASSY, of Duntrileague, County Limerick. He married secondly, Rebecca, daughter of Francis Dunlap, of Antigua, and had three sons and four other daughters, viz. Margaret; Rebecca Frances; Caroline; Amy. Catherine; Mary Anne; Jane; Sarah. Grace Elizabeth; Catherine; Susan Maria; Margaret Everina; Elizabeth Jane Sarah Anne. The 5th Baron died young; and the 6th Baron, a young man of 19, inherited up to 38,000 acres. He was said to have an affluent lifestyle with little regard to pecuniary matters. 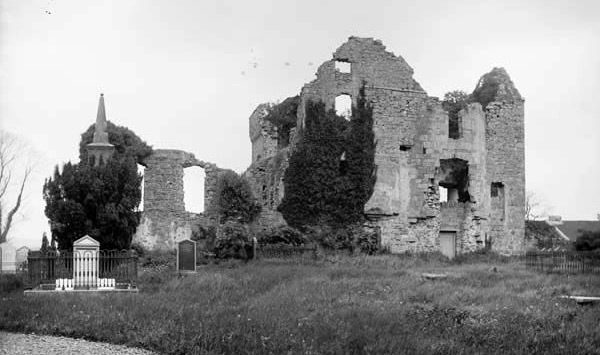 Grand parties took place at Killakee, and numerous hunting expeditions both there and in Limerick. His great-grandson, the 6th Baron, sat in the House of Lords from 1876 to 1915. 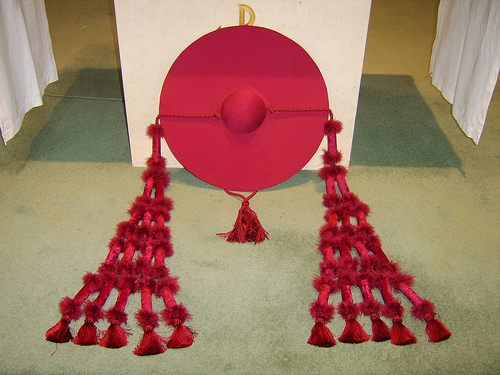 As of 2010, the title is held by the latter's great-great-grandson, the 10th Baron, who succeeded his father in 1995. THE HERMITAGE, Castleconnell, County Limerick, was an imposing Georgian house built about 1800 for George Evans Bruce, a disgraced banker. 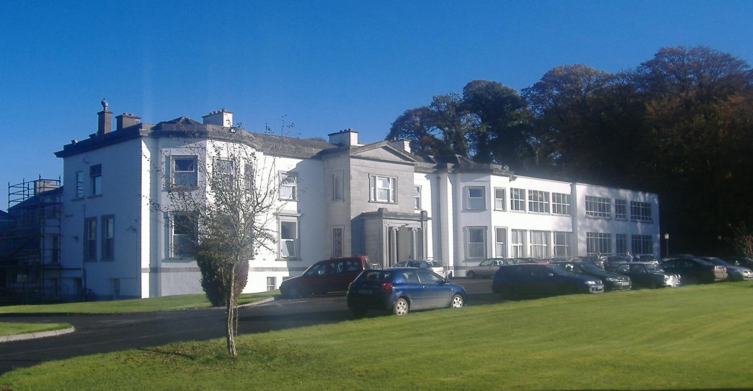 It was situated in a spectacular location overlooking the Falls of Doonass on the River Shannon. The Hermitage had a five bay entrance front with a pediment supported by paired huge Corinthian pilasters which framed the centre bay. There was a balustraded roof parapet. The garden front consisted of five bays, the end bays having quoins. There was a modest, though richly decorated hall with statue niches. The Hermitage is now demolished. Seemingly only the foundations now remain of the once beautiful house; broken steps, old kitchen garden walls and the dilapidated fountain all indicating that this was once a very wealthy estate. During the 18th century, Duntrileague was the seat of the Massys, but in the 19th century their main residence was The Hermitage, close to Limerick city. 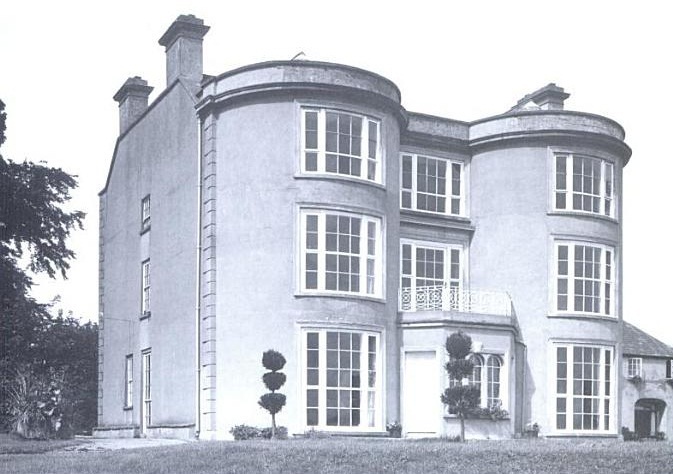 In the 1870s Lord Massy owned 8,568 acres in County Limerick and 1,120 acres in County Tipperary; however, his largest estate was in County Leitrim, amounting to over 24,000 acres in 1878. 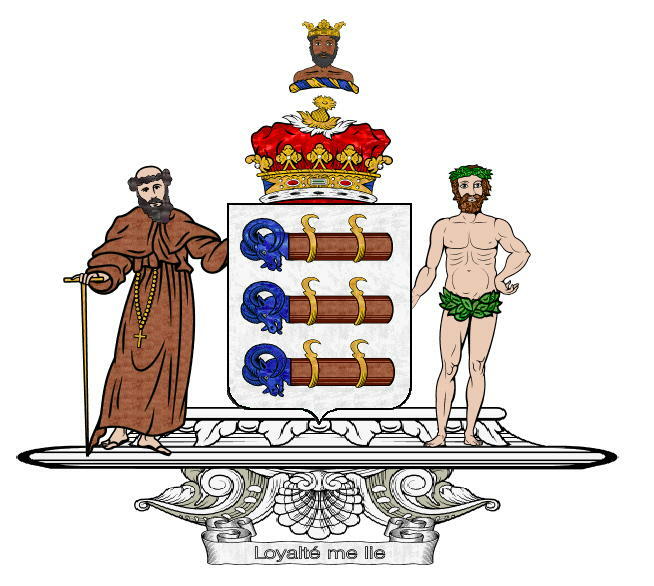 The Massy family had property in north County Leitrim following the bequest of the White estate at Lareen to John, 6th Lord Massy. In the 1830s, the Massy estate also comprised property in the parish of Killora, County Galway, where the agent was George Falkner. This property seems to have been leased by Richard Rathbourne, of Ballymore. It was offered for sale in the Encumbered Estates court in 1852. Most of the Massy lands were sold in the last two decades of the 19th century; followed by the family residences in the early years of the 20th century. There is a good article about the Massy family here. First published in May, 2011. 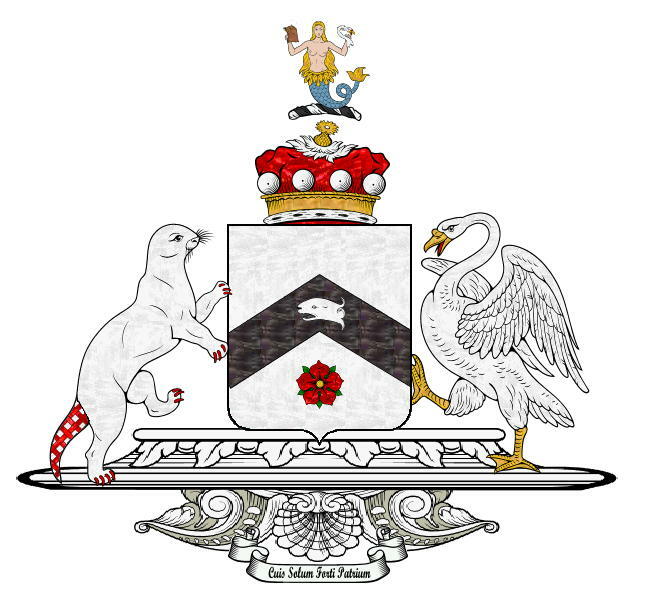 Massy arms courtesy of European Heraldry. The family of SACKVILLE derived its origin from Herbrand de Sauqueville, who came into England with WILLIAM THE CONQUEROR, and had its principal seat at Buckhurst, in East Sussex. SIR THOMAS SACKVILLE KG (1536-1608), a celebrated statesman in the reigns of ELIZABETH I and JAMES I. He was one of the commissioners for the trial of MARY, Queen of Scots; Lord High Steward at the trial of the unfortunate Earl of Essex; Chancellor of Oxford University; and, in 1599, appointed LORD HIGH TREASURER of England. He was elevated to the peerage, in 1604, as Earl of Dorset. His lordship was advanced to the dignity of a dukedom, in 1720, as DUKE OF DORSET. He was Lord Lieutenant of Ireland, 1731-37 and 1751-55. CHARLES, 5th Duke, KG (1767-1843), third son of the 1st Duke. His Grace died a bachelor, when the dukedom and the other titles expired. Former seats ~ Knole Park, Sevenoaks, Kent; Buckhurst Park, Withyham, East Sussex; Croxall Hall, Staffordshire. Former town residence ~ Dorset House, London. Dorset arms courtesy of European Heraldry. Of the early period of the Kemeys family the accounts are somewhat confused, but it is generally agreed that their origin was Norman. They rose to prominence at the period of the conquest of Gwent and Glamorgan. The original form of the name is uncertain, though it is said to be Camois or Camys, identical with Camois in the Roll of Battle Abbey. They were known as "Kemeys of Began" as early as the 13th century. The Irish branch claims descent from the ancient family of Kemeys of Newport, Monmouthshire, which family bore as their arms vert on a chevron argent, three pheons sable. SHAEN HOUSE, near Port Laoise, formerly Maryborough, County Laois, is a house of late Georgian appearance. It comprises two storeys over a basement. The entrance front has two three-sided bows; pedimented one-bay projection in the centre; Greek Ionic porch with acroterion. 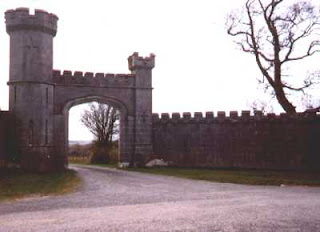 There is a notable castellated gateway at the demesne's main entrance. Shaen House is now a hospital. First published in April, 2013. It is always a true pleasure to revisit County Fermanagh. I was there for four days this week. The main road from Belfast to Enniskillen is so good now that one can drive for a good part of the way at 70mph; though the Augher-Clogher-Fivemiletown section is at 30mph through the villages. I stayed in Lisnaskea, the county's second town, I gather. Belle Isle, the Duke of Abercorn's beautiful County Fermanagh estate and island, isn't far from Lisnaskea, so I motored over to have a look around and chatted with the staff in the visitor office. I usually visit the Fermanagh National Trust properties so, having been invited to a private dinner at Crom estate on Wednesday evening, I revisited Crom the next day for a good walk to the old castle, the walled garden on Inisherk Island, and through sections of woodland. I also visited Florence Court on Wednesday; and Castle Coole, a National Trust property and seat of the Earl of Belmore, many of whose paintings are on display in the mansion house. 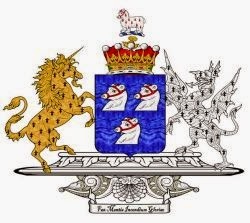 Lord and Lady Belmore today live at the Garden House on the estate and their elder son John, Viscount Corry, keeps one of the wings at Castle Coole. As a matter of interest I counted 28 chimneys on the main block and 14 on Lord Corry's wing. A highlight of my trip to County Fermanagh was dinner at the Watermill Restaurant at Kilmore Lough, about two miles south-west of Lisnaskea. Kilmore Lough is navigable from Upper Lough Erne and, indeed, there were lots of cruisers and boats at the quay. Watermill Lodge is one of the most charming places, with a thatched roof, little ponds, herb gardens, streams, rockeries and more. Pascal Brissaud's attention to detail is remarkable. Even the lavatories have curving mosaic tiles and stone spouts, skin to little streams, from which water flows into the hand basins. The Lodge is filled with character; the staff, smartly turned out, courteous, charming, diligent. I sat at a table near the bar. I perused the menu at length and chose prawn cocktail as a starter; not a common prawn cocktail, though, this one was served in a shell with juicy prawns. As you'd expect, fresh breads were presented in a basked with hand-carved pats of butter. The wine menu, by the way, has one of the finest selections in Northern Ireland, including several costing over £2,200 a bottle. There is, should one require it, a helipad in the grounds (!). For my main course I had the duck, served with creamed potato, sauce and a garnish (putting it simply). I ordered a dish of mixed vegetables as well. My pudding was a Pascal Special: dainty, little profiteroles. I do not pretend to any kind of restaurant critic, though I thoroughly enjoyed my meal and of course the extraordinary location and ambiance of this restaurant and guest-house. I hope to base myself here the next time. I paid a visit to the City of Armagh in May, 2013. Arriving at the main entrance to St Patrick's Roman Catholic Cathedral in the city of Armagh, I strode up the steep hill where, at the summit, there stands augustly and loftily that great cathedral church with its twin spires, seat of many Cardinal Archbishops of Armagh. There was a wedding taking place inside, so I bided my time by wandering round the cathedral, past Ara Coeli, the official residence of the Catholic Primate. Ara Coeli is Latin, incidentally. When the wedding ceremony ended, I walked in to the cathedral, an impressive church dating from about 1840, though not completed until the first years of the 20th century. Former cardinals' galeros are suspended from the ceiling in the aisles. THENCE I ambled on to English Street, past the Charlemont Arms Hotel and, a mere few yards further along, the De Averell guest-house. Back at The Mall, where I'd parked the two-seater, I stopped to look at the court-house. The old entrance posts of The Pavilion, erstwhile home of the Lord Armaghdale, still exist. The Royal Irish Fusiliers Museum, located at the Sovereign's House, was open; so I spent about thirty minutes there. They have two Victoria Crosses and Field-Marshal Sir Gerald Templer's uniform is on display, as Colonel-in-Chief of the Regiment. I drove to the Palace Demesne, well worth a visit. I've already written about the Palace, official residence of the Church of Ireland Archbishops of Armagh and Primates of All Ireland from 1770 until 1975. The archiepiscopal arms of Primate Robinson (later 1st Baron Rokeby) adorn the entrance front, above the porch. The private primatial chapel is somewhat dwarfed by its close proximity to the Palace, though this wasn't always the case, since the Palace was originally two storeys in height. These edifices are austere, though stately, noble and dignified; apt descriptions for archiepiscopal properties. That concluded my visit to the city of Armagh, though I hope to revisit the city and county during the summer. First published in May, 2013.